Banana Republic is a popular American retail brand. At present, it has over 600 stores, both company-owned and franchises, in 32 countries. Some of the collections under the brand are Heritage, Mad Men, Issa London, Marimekko, and Anna Karenina. The husband-and-wife tandem of Mel and Patricia Ziegler founded the company in 1978. Because the couple frequently traveled, they also brought home with them interesting – usually Safari-themed — clothing items. This concept eventually became the seed for their first Banana Republic store. However, Gap Inc. acquired the brand in 1983 and rebranded it as a mainstream clothing retailer, removing eccentric pieces. However, it’s not only the luxurious clothing and accessories that lure people to the brand. Employees also receive perks such as 50% discount for merchandise, a 401(k) retirement plan, paid sick leave, a comprehensive Leave of Absence program, and community discounts at the brand’s partner organizations. Banana Republic is also one of the few companies that that offer family care, a commuter benefit program, and Telemedicine. Such benefits and exceptional work ethic have made the brand one of Fortune’s most admired companies in 2016. Interested applicants must be no less than 16 years old, although they would mostly be assigned to stock associate or store associate positions. Labor laws apply, depending on the state where the store is located. The brand offers challenging yet fantastic careers for passionate and committed individuals who want to carry the brand. Check out the top 10 available jobs below. The ideal candidate shall supervise the transition of a product – from conception to production. He works with cross-functional partners in looking for raw materials and creating the intended design for apparel. As a design expert, he knows which aesthetics perfectly fit the models, or which design would make it to the market. For the position, the brand is looking for a team-oriented, engaging, stylish, and sociable supervisor who would help the General Manager, Assistant Manager, and Associate Manager in the day-to-day operations of the store. He boosts employee productivity and store sales. Establishing healthy customer-company relations is likewise part of his job. The merchandise assistant shall manage and keep samples organized and ready for seasonal marketing, merchant presentations, and visual setups. He checks for the accuracy of promotional pricing and markdowns. He is also an efficient employee who plans workloads and consistently meets deadlines. Proficiency in MS Excel is required. The General Manager is the epitome of a real leader: optimistic, results-oriented, committed, and customer-centric. He envisions the success of the store and shares this vision to his team. He is expected to select and train his subordinates, and inspire them to deliver consistent positive results. The GM should be tech-savvy, responsible, and proficient in oral and written communication. The District Manager performs similar tasks as the GM’s, but his scope is wider – he oversees 10 store locations and collaborates with the GMs in generating sales. He ensures that each team delivers quality customer experience and retains only the best talents. He inspires diverse and creative ideas in each employee. The key tasks of the Assistant Manager is searching for and training brand ambassadors, implementing business plans and marketing strategies as apropos, and creating a wonderful shopping experience for customers. He inspires the team to achieve their sales target, and monitors the staff to ensure productivity. As the Director for Design, the candidate shall be managing multiple departments for the brand. He sets the creative direction of the brand’s accessories line, and takes active part in every stage of production: market research, mood board creations, design conceptualization, sketching and creating product specifications, and fitting the accessories. The Planner is assigned to help in the development and execution of supply chain initiatives and inventory strategies to support and reflect the brand’s mission and vision. He conducts researches to identify new strategic initiatives and emerging trends. A proactive employee, he communicates business issues as soon as he detects them and proposes resolutions whenever necessary. The Associate Designer studies and researches the markets to identify new patterns, fabrics, techniques, and trends. He consolidates such data and utilizes his findings during the initial design conceptualization. He is also highly involved in line edits and fittings to ensure that all designs are aligned with the company’s current aesthetics and creative direction. The right person for this job understands the implications of product development on merchandising. He uses his technical knowledge to resolve issues on design and marketing strategies. Because Banana Republic is a global brand, the manager also aligns his decisions on metrics for international brands. He also demonstrates exceptional leadership towards his team. 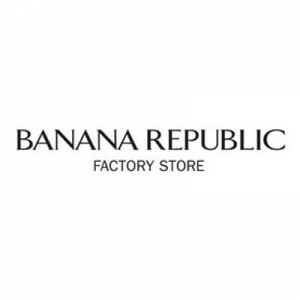 To apply for any of the aforementioned positions, click the Apply button on the Banana Republic webpage. You will be asked to login to your existing Gap Inc. account, or register through Google or Yahoo. Completing the online application form takes about 15 to 30 minutes. Prepare basic information such as your contact details and social security numbers as these are needed in the form. There is no printable application form. You can, however, bring a copy of your resume during the interview. If you choose to be a walk-in applicant, make sure that the details asked for in the online application are also indicated in your resume. You will usually receive the feedback and schedule of interview a few days after you have submitted your application. Prepare answers to questions such as why you want to work for the company, and why the management should hire you. The management values its employees as much as it values its customers. It also instills the importance of quality work and excellence on its employees. Everybody at Banana Republic is passionate about fashion, and dedicated to helping customers dress and look their best. It is also vocal about its advocacies, such as its recent tweet on Women’s History Month. In keeping with the celebration, the brand encouraged its Twitter followers to state the most important woman in their lives, and the best advice they have received from women. It is evident that the brand isn’t solely focused on retail, but it also seeks to empower its customers. By offering unique yet stylish pieces, it makes luxurious clothing and accessories accessible to everyone. At present, the brand increases its efforts to make their production sustainable. It also participated in the Fashion with a Heart program of Gap Inc., in which its assets are used to leverage success and create innovative solutions to social challenges. 1 How old do you have to be to work at Banana Republic?